We are approaching St. Patrick’s Day, and all those gold coins made me think of math. 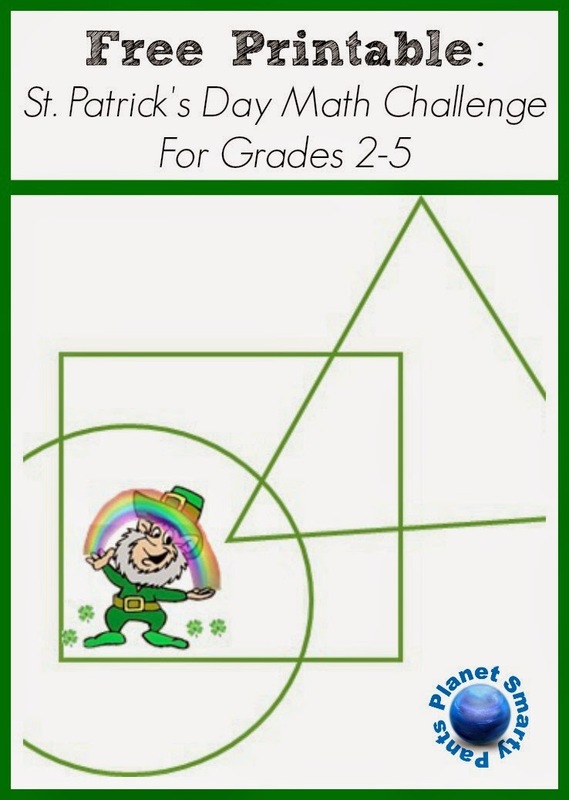 So today I am offering 5 “math challenge” problems with a theme of St Patrick's Day and a free printable. A few months ago I shared our approach to math at home. Last year our mathematically inclined second grader “accelerated” herself in math to the middle of the fifth grade using Khan Academy. Then.. topics got harder and she lost interest. I didn’t push her to go further, but instead invited her to dive deeper in math with math books, board games, and intermittent forays into computer programming. 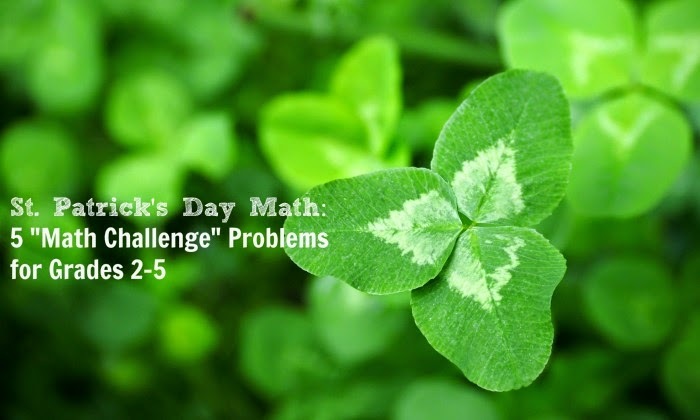 I am often trying to tie math to daily problems, but for St Patrick’s Day I put together a special challenge of 5 math problems for her to solve. Sean O’Brien is trying his luck rolling a dice. He rolled a dice 4 times and got a total of 23 points. How many times did he roll 6 dots? Shannon, Niamh, and Mary go searching for four-leaf clovers. Each of them found a different number of clovers, but each of them found at least one four-leaf clover. Shannon collected the least, and Niamh collected the most. How many four leaf clovers did Mary find? The rainbow has an infinite number of colors in it, but when we draw it, some people draw it with 7 colors, and some draw it with 6 colors. Chloe has a set of rainbow blocks with 7 colors, and Ryan has a set of rainbow blocks with 6 colors. They both set out to try all possible block towers using all their blocks but making sure that every color combination is different from the one before. How many more towers can Chloe build with her blocks? A leprechaun left you 12 gold coins. Unfortunately one of them is fake, and you don’t know whether it is lighter or heavier than a real coin. He also left you a balance scale and challenged you to find a fake coin by doing no more than 3 weighings. If you cannot do that, the coins will magically disappear. Can you find a solution? 1-B, 2-3, 3-2, 4-4320, 5- see full solution here. 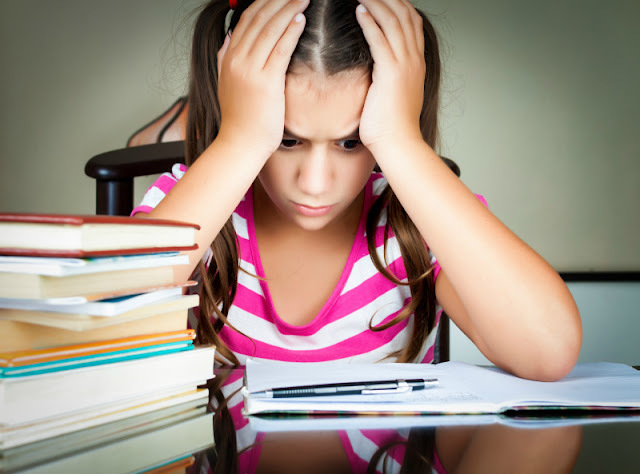 Are you a math lover or a math hater? I love the problems you came up with. I think we might well be trying these out. Emma is going to love these! Thanks for the printable.